When water, in its liquid form, is confined within carbon nanotubes, it takes on some amazing new properties. Researchers at MIT have discovered that water trapped inside carbon nanotubes can actually freeze at the high temperatures that would normally bring it to a rolling boil. Previous research has long shown that the boiling and freezing points of water change when it is confined to small spaces, but those temperature variations usually hover around 10C. The introduction of carbon nanotubes has changed the game significantly. Carbon nanotubes are tube-like structures with a diameter measured in nanometers, which are equal to one-billionth of a meter or about 10,000 times smaller than a human hair. The carbon nanotubes used during the MIT experiments were just slightly larger in diameter than the width of a few water molecules. Because water confined within the carbon nanotubes can take on a solid frozen state at a much higher temperature than in other vessels, the discovery could lead to inventions such as ice-filled wires, which could exist at room temperature. 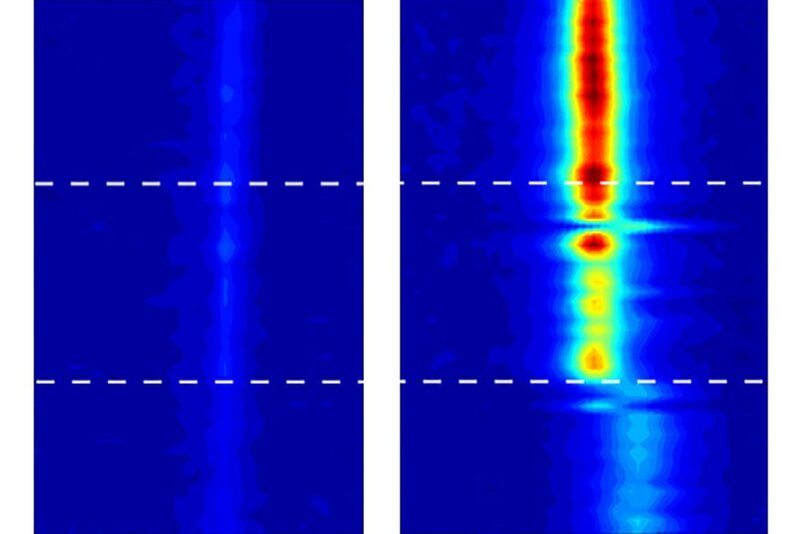 MIT researchers crammed water molecules into the confined space within carbon nanotubes and found that the water would freeze solid at the high temperatures that would normally cause it to boil.